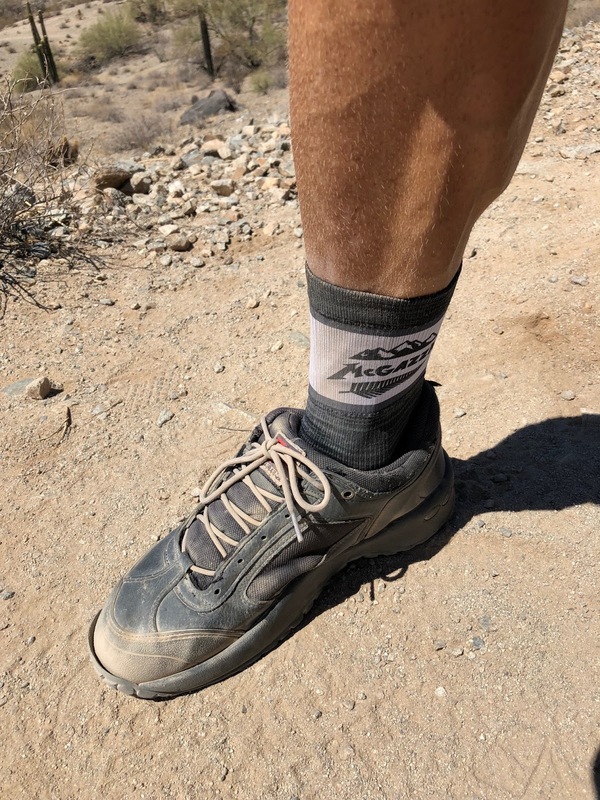 Got these Endura socks last year as part of a fundraiser for McGazza, can't say I have ever owned athletic bike socks before but these do the trick after I put holes in all my over the ankle socks. I really really need new riding clothes, while mine are perfectly good condition I have about 3-4 years into these shoes and riding shirts. One pair of shorts about a year old now. Pretty pathetic but I am cheap and not wasteful I guess. It was standard South Mountain Classic for me, easy loop, just found out we are headed to Sedona this weekend and I can bring my bike with the family! I will have Sunday morning and I am so excited I have been dying to get out of Phoenix and this will be a really nice refresh not heat wise. I plan to finally ride Hi Line and link some good stuff in between, bring on the weekend!